Forward this email to your Branch Executives, Committee Members and other members to keep them up-to-date on Legion news. As part of his mandate, Dominion President Tom Irvine is committed to tackling the issue of ‘stolen valour’ in the Legion. With the full support of the Senior Elected Officers, Comrade Irvine released a statement on this important topic. The statement emphasizes the already established laws relating to Stolen Valour. When an individual commits stolen valour, they degrade the honour and sacrifices of those rightly wearing the uniform and they are breaking the law. Together we will uphold the service and sacrifice of all Veterans, and honour their legacy. The Legion Dominion Command Going Forward Committee is undertaking a review of stolen valour and drafting an organizational policy for consideration by the Dominion Executive Council. 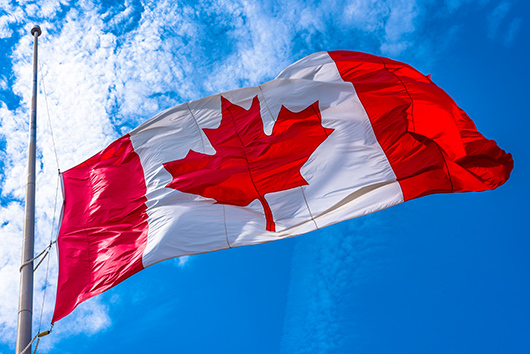 The Legion asks that all Branches fly Canadian flags and all Royal Canadian Legion flags at half-staff from sunrise to sunset on Tuesday, April 9 in observance of Vimy Ridge Day 2019. The day honours and remembers those who fought during the fierce Battle of Vimy Ridge in France in 1917, a defining moment for Canada as soldiers from several divisions battled together. The Legion joins federal, provincial and municipal institutions in lowering the Canadian flag. With the release of the 2019 Federal Budget and the Federal Election being held this October, the issues faced by Canada’s Veterans must be kept front and centre. As part of The Legion’s mission, we advocate to Canada’s Government a list of measures that would positively impact the care, benefits and wellbeing of all Veterans and their families. These national advocacy positions can be found on the Legion website. The Legion is 260,000 members strong and the tide is turning! 2018 marked our best performance in the last 8 years, retaining 97.9% of our membership. Membership growth continues to be a key focus for our organization. Is your Branch looking for new members? Order the Legion’s free recruitment brochures from Legion Supply and ask local businesses if they would have them available to their visitors. This is a great way to engage with your community and reach out to potential new members. Trained volunteers with similar experiences are available to provide a listening ear, comfort, guidance, and hope. We are here to walk the grief journey with them. HOPE has been helping bereaved families since 2006. Contact HOPE at hope-espoir@forces.gc.ca, www.hope-espoir.com, or at 1-800-883-6094. Veterans Affairs Canada has announced that the 2019-20 Call for Applications for the Veteran and Family Well-Being Fund (VFWBF) is now open. In 2019-20, the VFWBF will award $3M in grants and contributions to private, public or academic organizations to conduct research and implement initiatives and projects that support the well-being of Veterans and their families. Branches can apply by March 29, 2019 through the online application system. For information on the Fund, including eligibility, please visit the program guidelines. This calendar lists upcoming commemorative days of relevance to The Royal Canadian Legion that raise awareness of an issue, commemorate a group or event, or celebrate an important topic. Branches may wish to promote these dates or organize related activities. Click on Branch and Command Resources, then Marketing and Public Relations. Public service announcements (PSAs) can promote programs or activities and you can often have a Legion-related event or update aired on local radio or TV at no charge. Check with your local stations for submission guidelines. There are new promotional materials available for the Royal Canadian Legion MBNA Rewards® Mastercard® credit card. Use these materials to promote the card to members of your Branch. ‘CURRENT YEAR’ = 2019; ‘NEXT YEAR’ = 2020. Deceased Members can now be processed on the Member Profile page. There are no changes to the 2019 per capita tax rates. Rates can be viewed on the Member Services Website under Branch and Command Resources / Membership. Please ensure you are accessing your Branch email by clicking ‘WEB MAIL’ on the left-side menu of the Member Services Website.